EA Sports UFC 2 is ranked in the 70th percentile of games scored on OpenCritic. “EA UFC 2” is an effective tribute to of professional sport fandom, the spirit that causes the crowd to roar to life not in appreciation of another person’s actions but because they believe it means something for them to have witnessed it. With enhanced visuals and improved gameplay, EA Sports’ “UFC 2” is the mixed-martial arts game you’ve been waiting for. While the host of improvements alone would have been enough for a solid sequel, the addition of the Ultimate Team mode makes it a game that every MMA fan should play once in their life. It also creates a more than interesting quandary this year at the EA Sports camp later this year. How do you top a game that does so many things right? It's a fantastic follow-up to the Freshman UFC title. If you were a fan of the first one, you will love it. The multitude of game modes and presentation all combine to give the game a very professional feel that helps legitimize the sport as a big time player. Simple enough to pick up, but tricky to really master, UFC2 has a lot going for it and if you are a fan of the sport it’s certainly worth the purchase. The roster is right up to date and if you feel a bit quirky (and don’t mind a bit of DLC) you can add Mike Tyson and Bruce Lee to your roster. EA Sports UFC 2 verbessert sich deutlich gegenüber dem Vorgänger und bringt mit einem verbesserten Karriere Modus und dem neuen Knock Out Mode einiges an Umfang für Kampfsport Fans. Für die etwas komplexe Steuerung fehlt zwar immer noch ein gutes Tutorial und auch die Karriere an sich hätte etwas mehr Inhalt vertragen können, aber ansonsten überzeugt der Titel durchgehend mit einer großartigen Präsentation und einer umfangreicher Charakter Auswahl. Fast loading, fast hitting, and ready to rumble, EA Sports UFC 2 is ready for the octagon. Where the first EA Sports UFC failed to go big on content, EA Sports UFC 2 delivers big time. That it also successfully improves upon the strong foundations laid by UFC 1 in the gameplay stakes, makes UFC 2 nothing short of superlative. It's a winner. It's not a perfect game, but EA UFC 2 is a punchy good time in the octagon when I'm looking for a fight. Though classified as a simulation, EA Sports UFC 2 is still a fighting game, and thus must contend with flashier and fantastical competition in the genre. However, on an immersive level, the authenticity both in the visuals and atmosphere is astonishing. The fighting itself is intense, but requires patience, skill, and memorization to master. It's a must have for any MMA enthusiast, and one that promises months of full-bodied content in its meaty modes. EA's second stint with UFC's license shows some positive growth. On the plus side, the ground controls are simpler and the optional Grapple Assist does make learning how to roll much easier. Fights feel a little more steady in terms of character interaction with improved collision detection. But although the striking principles are solid, I still think the tempo is turned up too high. If stand up was more even keeled and ground transitions were quickened a bit, all aspects of gameplay would feel just right. Despite this criticism, it still plays very proficiently. 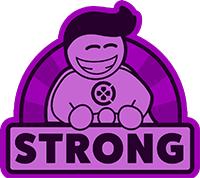 Available modes cover all the bases of the sports genre with the advent of a strong Ultimate Team experience and addictively fun KO mode. And presentation is pristine in all areas and couldn't have been designed much better. UFC 2 didn't correct all of 2014's mistakes, but it's still striding in the right direction. There are still some small improvements to be made when it comes to getting on the level of Undisputed, but EA Sports UFC 2 is a significant improvement over the first game, and proof that the team is more than ready to step into the Octagon. Whenever it rolls around, EA Sports UFC 3 will have a hell of a game on its hands. But, for now, part two is well worth trying, especially if you're a fan of the sport. A serious sports sim in all its primal glory. 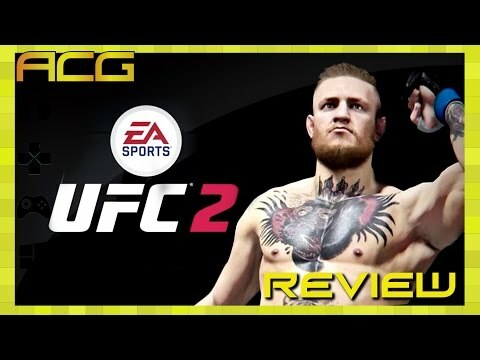 EA UFC 2 is much better representation of UFC with the improved gameplay features, the expanded roster that covers 10 divisions, and the additional game modes. While career mode was a huge let down, and felt pretty much like a copy and paste, the other modes managed to provide the entertainment of a UFC game. If you wasn't a fan of EA UFC, I would recommend EA's 2nd try as all in all it's a much better game that is worth buying. Putting aside the familiar career mode, EA Sports UFC 2 is a worthy upgrade. EA Sports UFC 2 is a perfect example of how to capitalize on a mostly solid start. Even though it could still use additional improvements, the fighting system remains solid, and the tweaks make it more accessible to those who aren't well versed in fighting games. The presentation has been improved to make it even more impressive on all fronts, but the amount of modes give the game some longevity beyond online play. It isn't perfect, but it certainly is one of the better representations of an MMA game, so fighting fans of all types should check it out. Consider the bar for MMA games officially raised, as EA Sports UFC 2 improves upon almost every facet of the original, while also introducing an intuitive new grappling system and realistic knockout engine. Charles Darwin would be a big fan of UFC 2. This isn’t just because of the natural selection angle of the combat, where the only the strongest and smartest survive, but rather because this is the most natural evolution of MMA games as a whole. There is certainly plenty of room for continued improvement in the future, but it is still far and away the best take on the sport to date. Those who have already found themselves smitten with the series will find plenty to enjoy the second time around. “EA UFC 2” is an improvement on its predecessor. The next chapter needs to go the distance. EA Sports UFC 2 delivers the grandeur of MMA in a remarkable and brutal presentation. A traditional fighting game this is not, and the genuine attempts at simulating a dense sport result in clumsy combat that only on occasion captures the drama and nuance of human chess. UFC 2 is hard to get into and not as rewarding to play as it should be, but its smart system design, presentation, and generous helping of content should keep UFC fans occupied – provided they make it through a gruelling training camp first. EA Sports Canada has improved upon the UFC formula greatly, although plenty of the modes still feel shallow. EA Sports UFC 2 is a much better excuse to go looking for a fight than the previous game, even if it's missing the allure that made UFC Undisputed 3 so great. EA have attempted to fix a lot of mistakes made by the game's predecessor, ending up with something much improved and fun. As a mixed martial arts simulator it fails in some key areas and as a balanced, competitive fighting game it just doesn’t compare to the champions of the genre, 2D or 3D, offering limited depth and distinction between fighters. The lack of overall options and content creates a shallow feeling that EA Sports UFC 2 can never quite shake. It is more pronounced in the career mode, where there was perhaps the greatest opportunity to do something interesting with the source material, but outside of the original tournament the game never shows much personality in that mode. The same can be true of the other modes as well. Microtransactions and the brutal learning curve make UFC 2 hard to play and even harder to recommend.